Reactor B at the Hanford Engineer Works. With the Oak Ridge, Tennessee, facility too close to a large population and demanding more power then the Tennessee Valley could provide, a new site for plutonium production was required. 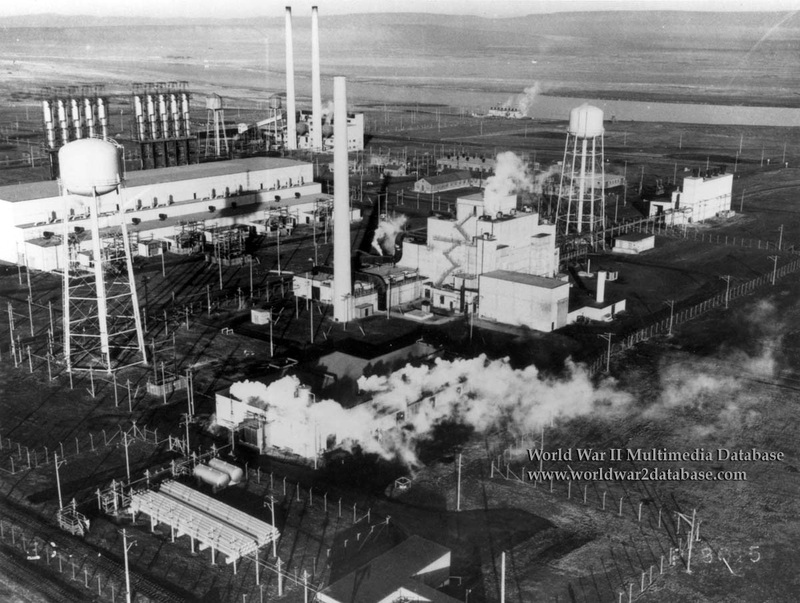 On December 16, 1942, 560 square miles (1450 square kilometers) around Hanford, Washington State, were set aside. Ample Hydroelectric power was available, and it was determined that the existing infrastructure could be upgraded to support the construction and operation of the facility. three water-cooled production reactor (piles), designated by the letters B, D, and F, would be built about six miles apart on the south bank of the Columbia River. The four chemical separation plants would be built in pairs at two sites nearly ten miles south of the piles. A facility to produce slugs and perform tests would be approximately twenty miles southeast of the separation plants near Richland. Ground-breaking for the water-cooling plant for the B Reactor, the westernmost of the three, took place on August 27, 1943. DuPont work gangs began to lay the first of 390 tons of structural steel, 17,400 cubic yards of concrete, 50,000 concrete blocks, and 71,000 concrete bricks that went into the pile building. By early 1944, a windowless concrete monolith towered 120 feet above the desert. On September 13, 1944, Enrico Fermi placed the first slug into the pile at B Reactor. The pile stopped and restarted, frustrated by an unforeseen buildup of Xenon gas. DuPont overbuilt the reactor, so it was pushed beyond the designated load, which eliminated the Xenon before it could build up and shut down the reaction. Los Alamos received the first shipment of Plutonium in February 1945.